CTV News' Angela Mackenzie reported on the McGill Indigenous Health Professions (IHP) program this week. The IHP program, in partnership with McGill's Faculty of Education, is currently hosting the Eagle Spirit Science Camp with the aim of empowering and encouraging Indigenous youth to realize their full potential in the areas of education, career, health, culture and leadership. 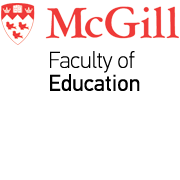 To watch the CTV report, "McGill summer camp hopes to recruit Indigenous youth to health care jobs," posted July 18, 2018, please visit their website.